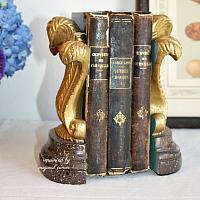 Beautiful and getting most rare to find Vintage Gilt Borghese Plume Feather Bookends. 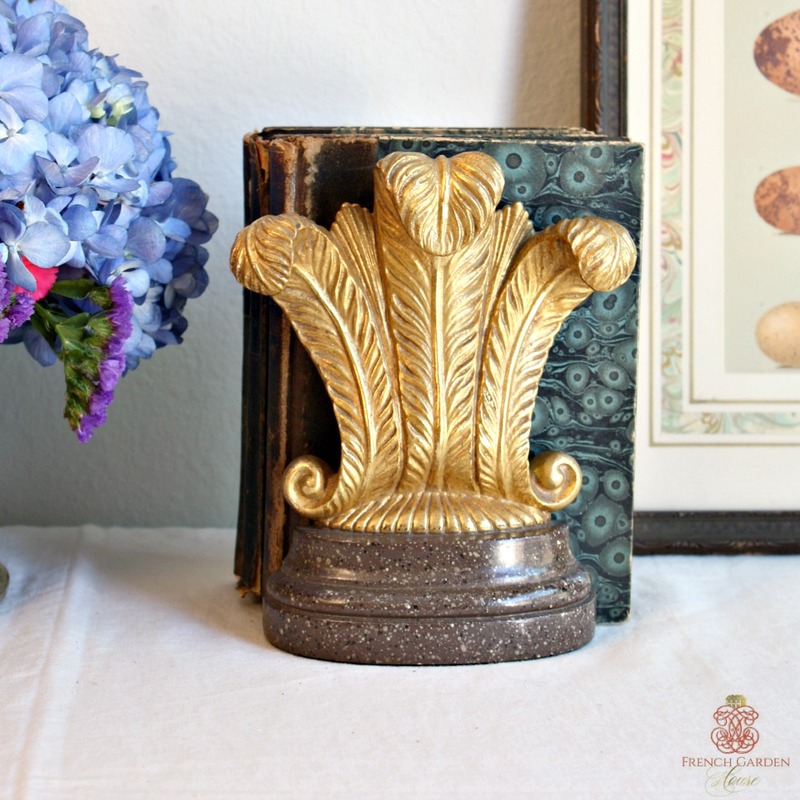 Borghese made the highest quality decorative accent pieces with artistic details in the Italian style. This gorgeous set that is very collectable and will accent any serious collection. 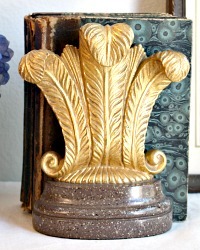 Each is meant to look like gold hand carved wood Venetian or Florentine antiques, Borghese was considered a master at this. 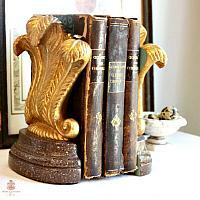 These will make a stunning visual display, they have beautiful patina, and are a fabulous size. 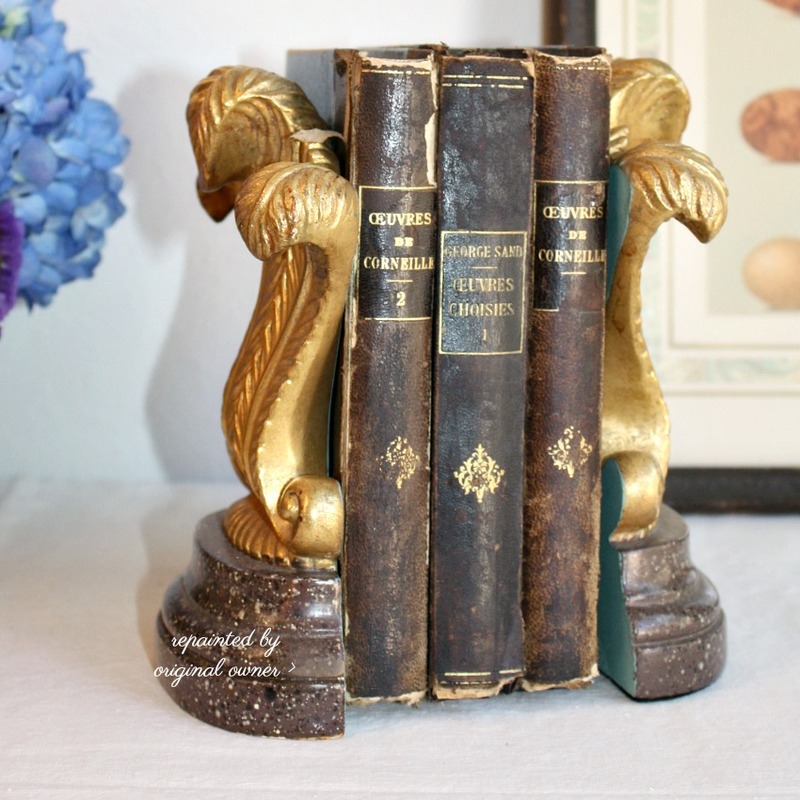 Wonderful displayed on your antique desk, table, shelf, display cabinet, or anywhere else, with books, or not. 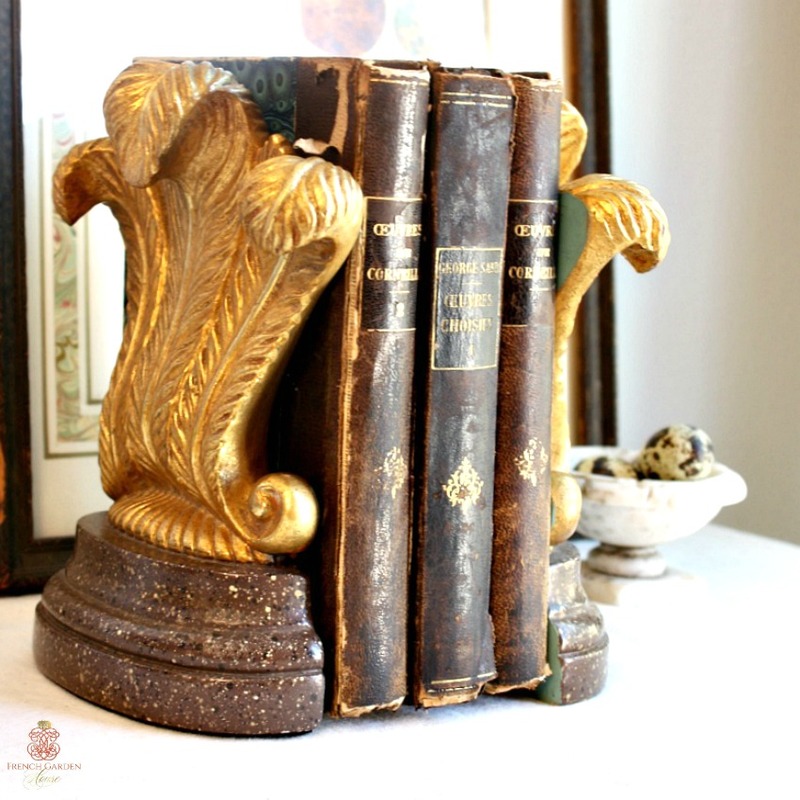 Made of a plaster combination exclusive to their manufacturing process, these gilded plumes would look wonderful in your French library. One retains the original paper label. One has a small area that has been repainted by the owner long ago, there is a small chipped area there. Sold as a pair. Measure 5" x 5" x 8"h.